Gladstone Ports Corporation will have a major role to play in this year’s Brisbane to Gladstone yacht race, which starts tomorrow. GPC acting chief executive officer Craig Walker said they were proud to provide the venue for Gladstone’s Easter celebrations, including being the finish line for the annual race. “Facilitating the installation of a temporary 100m pontoon at O’Connell Wharf is one of the most visibly noticeable activities that takes place as part of the preparations,” Mr Walker said. “Behind the scenes, GPC’s marina team also works relentlessly to ensure that all permits, berth allocations and other preparatory works are completed in the lead-up to the Easter long weekend. “Working around the clock, the marina team ensures they accommodate the arrival of the yachts, while being fully equipped as a safety response vessel for the race. 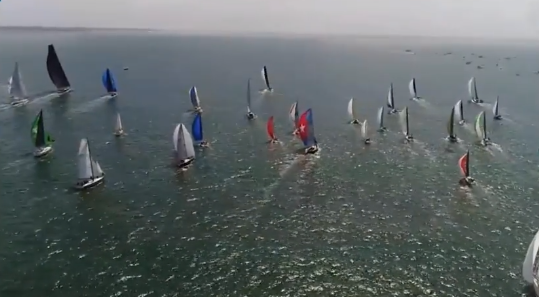 The 71st edition of the 308-nautical mile race starts tomorrow from Shorncliffe. After the start, yachts proceed via a mark off Redcliffe Point to the North West Channel to Caloundra and through to Gladstone. Entrants include the best Queensland-based racers, as well as interstate rivals. Queensland yacht Black Jack took an impressive line honours victory last year and smashed the 14-year-old race record in the process. However, the overall winner of the race, and the prestigious Courier Mail Cup, one of the oldest perpetual trophies in Australia, was Ichi Ban, which backed up its win from 2017. Whitehaven Coal’s planned Winchester South coal mine near Moranbah will deliver hundreds of coal mining jobs and boost the Central Queensland economy for decades, CFMEU Mining & Energy said today. CFMEU Mining & Energy Queensland President Stephen Smyth welcomed the Queensland Government’s announcement that the $1 billion project would be declared a co-ordinated project, streamlining approvals. If approved, the project is estimated to commence construction in 2021, with the first coal extraction proposed for 2023. “This announcement means the Winchester South Coal Operations proposal has passed the major hurdles. It is now in the hands of the Co-ordinator General to get the mine up and running,” Mr Smyth said. “It is great news for Central Queensland mining towns. In addition to direct jobs building and operating the mine, local businesses will also benefit from the economic activity the new mine generates. The Winchester South proposal is for an open-cut coal mine, producing predominantly metallurgical coal for steel-making over a period of 30 years. At full capacity, the mine is targeting run-of-mine production of approximately 15Mtpa of coal. The new mine is expected to create about 500 jobs throughout the two-year construction period and up to 450 full-time jobs during operation. Member for Mackay and Assistant Minister for State Development Julieanne Gilbert said the proponent would target local employment in regional towns. “This is good news for places like Moranbah, Dysart and Coppabella, and provides even more opportunities for regional Queensland,” Ms Gilbert said. Mr Smyth said the CFMEU looked forward to working with Whitehaven Coal to make sure the jobs generated by the mine were permanent, secure and well-paid. The business community has challenged local politicians and candidates to declare their support towards the immediate opening of the Galilee Basin for coal mining. Townsville Enterprise has partnered with the Queensland Resources Council and 20 North Queensland businesses to issue an open letter declaring ‘enough is enough’. 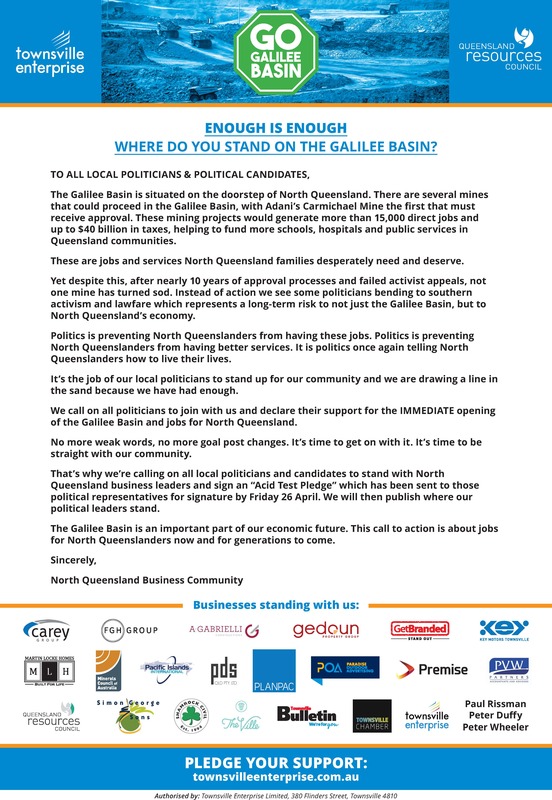 It is addressed to all local Members of Parliament, candidates and regional Mayors, urging them to sign an ‘Acid Test Pledge’ backing the immediate opening of the Galilee Basin, with the first project Adani’s Carmichael Mine. The pledges will be recorded and published on Friday 26 April 2019. Townsville Enterprise said the call to action was the result of growing frustration and concern from North Queensland businesses that almost 10 years since the Galilee Basin was put forward to the community, not one single mine had turned sod. It comes after central Queensland’s Resource Industry Network last week s launched a coal mining advocacy campaign, ‘For the Future of our Region’, with a website (Visit HERE) . A copy of the advertisement commissioned to declare the Acid Test Pledge campaign is published below. Aurizon is targeting anti-coal protestors illegally trespassing in the rail corridor with a new public safety campaign. The rail business says train drivers living in Queensland’s regional communities are at the heart of the ‘Don’t put your life on the line’ campaign. An unnamed North Queensland train driver has spoken out about the devastating impact of near misses and the fear that one day he will kill someone. “I can still sit here talk about how it went and exactly what happened, so the fear of actually running over someone and actually killing someone, it would be just devastating, totally devastating,” he said in an Aurizon media statement today. Coal train drivers could not just pull up on a whim, he warned. “We’ve got 10,000 tonnes of coal at the back of us and when we’re hurtling along at 80km per hour, it takes at least two and a half kilometres to pull up and stop the train,” the driver said. 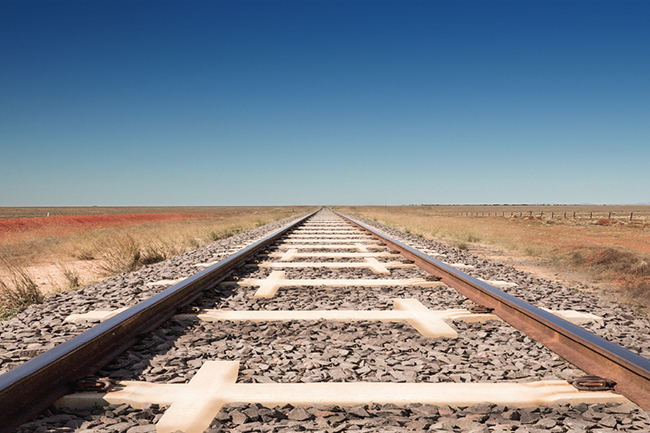 While the campaign aims to raise general community awareness, Aurizon highlighted on-track protests as one of the primary safety concerns for the company and its train drivers in Queensland. Aurizon chief executive officer Andrew Harding said the company wanted people to understand that near-misses on railways had a traumatic and lasting impact on its train drivers. “Through this campaign we want to remind people to be vigilant around the rail corridor for their safety and for our train drivers’ safety. It is only a matter of time before someone is seriously hurt or killed due to unsafe or reckless behaviour,” he said. 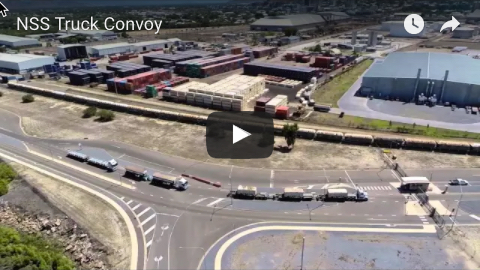 Three James Cook University students have worked alongside the Port of Townsville’s Channel Upgrade Project team for 10 weeks, gaining experience during one of the largest infrastructure development projects in the Port’s long history. The paid internships gave Peter Price, Kimmy Jennings and Tarun Kumar real-world experience on a complex project that incorporates both land and marine development environments. Port of Townsville general manager infrastructure Kim Gebers said the Townsville Channel Upgrade Project’s internships were creating local benefit by providing a hands-on experience to the next generation of construction professionals - experience which should prove invaluable as more infrastructure projects got underway in North Queensland. Ms Jennings, who has recently graduated from JCU with a Bachelor of Geology degree, said that the internship had given her an opportunity to see what happened behind the scenes in a large project. "My internship with the Channel Upgrade Project will help me in my new role as a Graduate Environmental Officer with Resolute Mining in Ravenswood," she said. The Port will continue to investigate opportunities for more summer internships during the life of the Channel Upgrade Project. 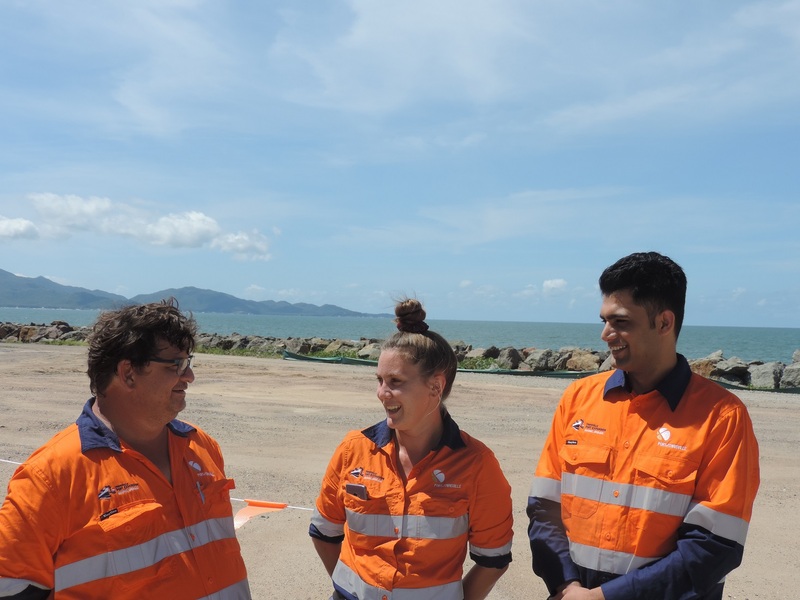 Picture: JCU students Peter Price, Kimmy Jennings and Tarun Kumar have gained real world experience through internships with the Townsville Channel Upgrade Project. The Mendi Group has acquired a third quarry in the Townsville area to supply the local construction industry. 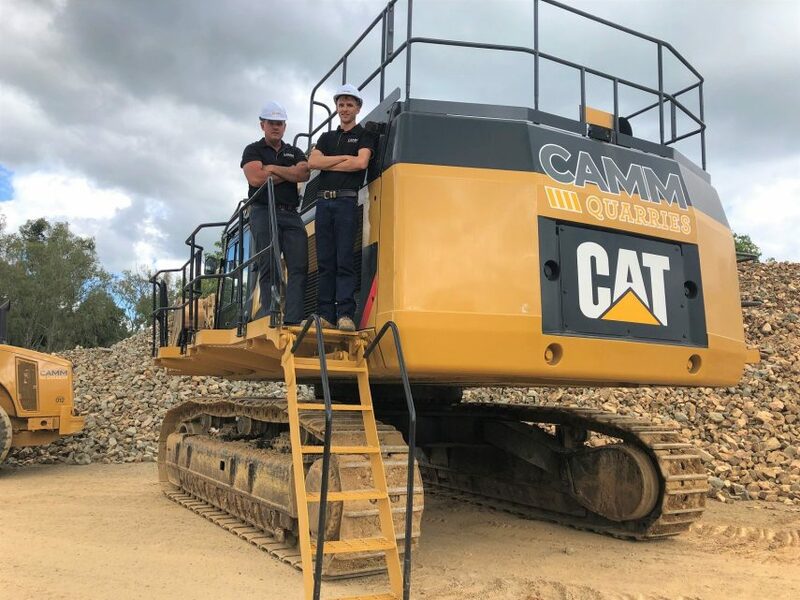 Mendi managing director Jeffrey Doyle said the new CAMM North quarry would be ramping up production to supply raw materials on the northern and southern approaches to Townsville. “The purchase of the previously-named Wild Boar Quarry is a very strategic step for us and represents a significant local investment by the Mendi Group, ” he said. 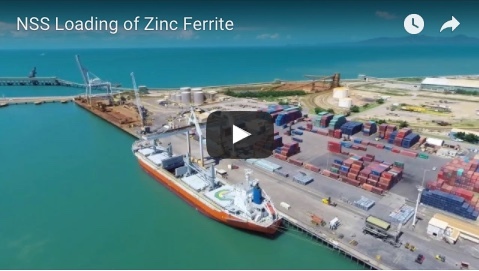 “The new CAMM North quarry gives us a supply of raw materials on the northern side of Townsville, meaning our main operating location in the Bohle is now centrally located between the three quarry locations. The group also operates sand supplier Townsville Graded Sands at Kelso and CAMM Quarries at Roseneath. “Our second quarry at Roseneath which opened in July 2018 and produces high-quality aggregates and road base materials, was developed by Mendi from a greenfield site and has already far exceeded production expectations,” Mr Doyle said. “This is a positive sign for our business. Picture: Mendi managing director Jeffrey Doyle with CAMM Quarries senior site executive Greg Green.